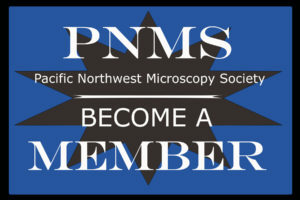 Please join the Pacific Northwest Microscopy Society for a stimulating one-day workshop, with major focus on the cryo-preparation of biological samples by High Pressure Freezing. 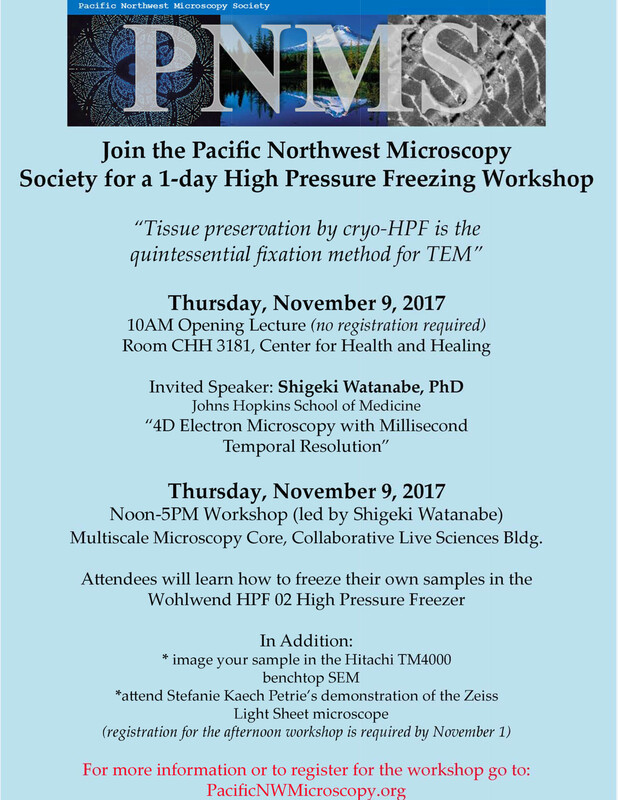 Dr. Shigeki Watanabe (Johns Hopkins University) will lead the workshop, beginning with a morning lecture and discussion followed by an afternoon hands-on demonstration of the Wohlwend HPF02 high pressure freezer. Attendees are encouraged to bring their own samples* for freezing. 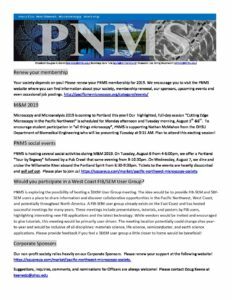 Additionally you may image your minimally processed samples* using a Hitachi HM4000 tabletop SEM and also attend a demonstration by Dr. Stefanie Petrie of the Zeiss Light Sheet Microscope.